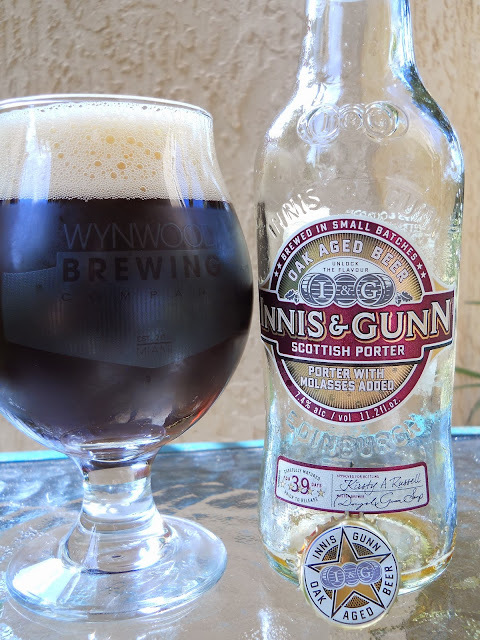 I've enjoyed a few other Innis & Gunn beers over the past year, so I decided to give their Scottish Porter a whirl when I saw it on the shelf the other day. This is a 39-day oak-aged porter with molasses added. The brewery positions adding molasses (treacle) as historically inspired, since that's what brewers did in Scotland 100 years ago to add flavor to their beers. Clear glass 330 mL bottle, as usual. 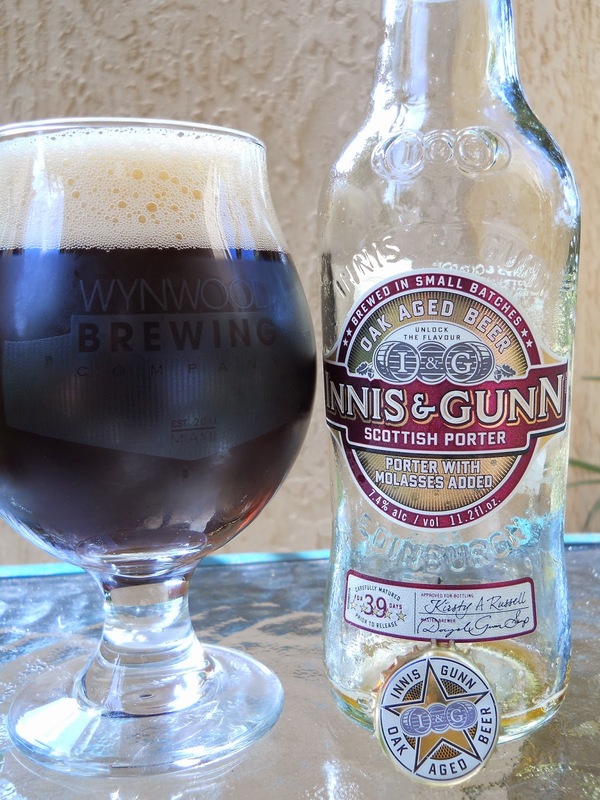 Decided my new Wynwood Brewing snifter was perfect, first beer review with it! All day sweet molasses aroma with hints of oak and light cocoa. Chocolate in the beginning is met with some smokey, even ashy flavors immediately. The molasses infusion shows next, very prominent see-saw between sweet and bitter. You will notice the oak with vanilla nuances as well. Overall, NOT sweet in the slightest. A little thin, too. 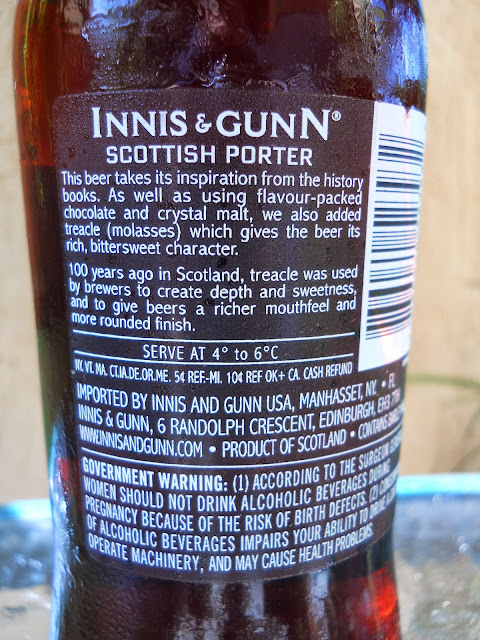 The beer really dries out your palate, especially at the finish. The finish also shows some of the 7.4% alcohol. Molasses is definitely a major player in this beer to the point of getting in the way of the experience by the end of the bottle--a little annoying. I'm definitely treacled out!